Nick Gibbs covers the UK market for Automotive News Europe. 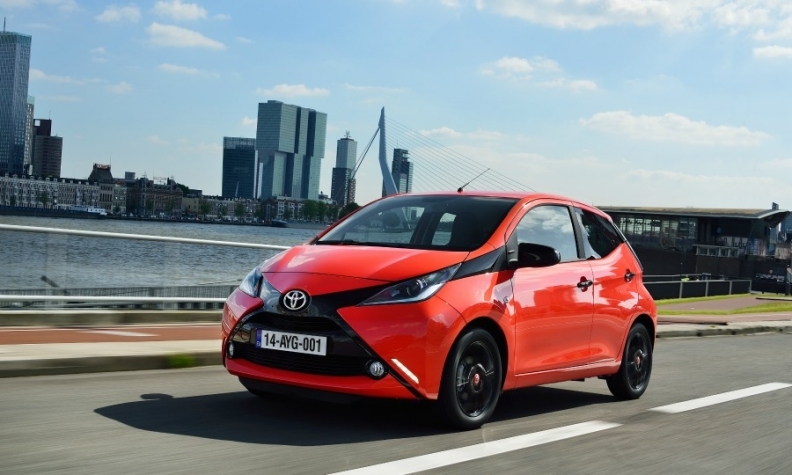 Toyota's Aygo minicar is built at the joint PSA/Toyota plant in Kolin in the Czech Republic. Toyota and PSA Group have said they will end their partnership to make minicars, but what caused the split? At the Paris auto show in October, Toyota said the relationship between the two automakers was solid and the companies have since announced that PSA will broaden its van partnership with Toyota. This means the two companies obviously still get on. The answer must be that their opinions have split on the future of the minicar segment. Toyota warned as much at the Paris show. "If we find some common strategy, then we can continue. If we have a different strategy, that could be a reason to stop it," Toyota Europe Chairman Didier Leroy said. Citroen CEO Linda Jackson gave a big clue where PSA thinks the minicar segment should go when asked at Paris. "I think it is probably electric," she told Automotive News Europe. "The segment is getting smaller and smaller in terms of volume, so I think it will evolve." Toyota on the other hand is extremely happy with its Aygo minicar, which far outsells the Citroen C1 and the Peugeot 108. All three cars are built at the PSA/Toyota plant in Kolin in the Czech Republic. Crucially the Aygo brings new customers to the Toyota brand, and the right sort of customers too: young, urban, first-time car-buyers. "That's the target we want to reach for the future as well, so yes, we would like it to continue," Toyota Europe CEO Johan van Zyl said. Toyota has also hinted that the next Aygo could be styled more like an SUV. "Is there a risk we get a more crossover design, a less traditional body type like we've seen in the B-(small-car) segment and C-(minicar) segment? It's a possibility," Toyota's European sales head, Matt Harrison, said in Paris. Toyota has said it will not rush into building full-electric cars. Toyota will now buy out PSA's share in the Kolin factory, but it will have a lot of spare capacity there. The plant can build 300,000 cars a year. Toyota currently sells fewer than 100,000 Aygos a year, meaning unless Toyota can persuade another automaker to partner on small cars, it would need to shift production to Kolin from another plant. That has caused concern at Toyota's plant at Burnaston in the UK, which soon will be making cars outside the EU once Britain leaves the trading bloc.